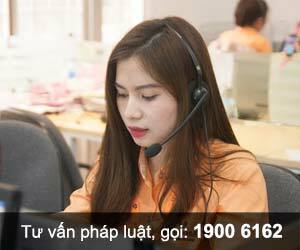 Tuyên bố chung của Hội nghị cấp cao Khu vực Tam giác phát triển Cam-pu-chia - Lào - Việt Nam lần thứ 8, ký tại Viên-chăn ngày 25 tháng 11 năm 2014, có hiệu lực kể từ ngày 25 tháng 11 năm 2014. Bộ Ngoại giao trân trọng gửi Bản sao Tuyên bố chung theo quy định tại Điều 68 của Luật nêu trên./. NOTING the progress and challenges in implementing of the Revised Master Plan for socio-economic development of the CLV on Development Triangle Area for 2010-2020 since the 7th CLV Summit in 2013. FULLY AWARE OF the urgent need to promote the economic growth of the CLV on Development Triangle Area for reducing poverty and economic and social disparities through making better use of available resources of CLV countries and mobilization of technical and financial assistance from Japan and other development partners and international institutions. 1. We reaffirm our commitment to working closely to promote the relationship and cooperation of the CLV Development Triangle Area on the basis of our traditional relations of fraternal friendship, mutual understanding, trust, and comprehensive and long-lasting cooperation. 2. We commend the work and efforts of the CLV Joint Coordination Committee to implement the Revised Master Plan for Socio- Economic Development of the CLV Development Triangle Area for 2010-2020 and highly appreciate the outcomes of the 9th Meeting of the CLV Joint Coordination Committee and relevant meetings held on 10-12 September 2014 in Siem Reap City, Kingdom of Cambodia. 3. We welcome the decision of CLV Joint Coordination Committee (CLV JCC) to organise its meeting once every two years, while keeping the frequency of Senior Official Meeting, Sub-Committees Meeting and related activities unchanged. We also stress that the CLV DTA working mechanism should ensure effective and timely addressing urgent issues related to the implementation of the Master Plan and the investment and business activities of business community. 4. We agree to strengthen cooperation in order to narrow development gap among ASEAN member states, including effective and timely realisation of ASEAN Community. 5. We highly value the outcomes of the Conferences on Trade, Investment and Tourism Promotion on 9 September 2014, Siem Reap City, Kingdom of Cambodia and encourage the private sector as an engine for economic growth to actively participate in trade, investment and tourism promotion events among CLV countries to attract trade, investment and tourism flows into the CLV Development Triangle Area. 8. We reaffirm the importance of ensuring security, safety and stable environment for investors and residents in the Development Triangle Area by strengthening our cooperation to fight against drugs and human trafficking, cross-border crimes and to conduct clearance of landmines, unexploded ordnance and Explosive Remnant of war. We also urge relevant authorities to work closely in organising exchange programmes in dealing with above mentioned issues. 7. We agree to implement, where applicable, the bilateral and multilateral agreements on movement of goods and people in the Development Triangle Area, particularly the Cross Border Transport Agreement (CBTA) under the Greater Mekong Sub-region (GMS). In this regard, we are pleased to note the progress of the preparation for full implementation of the Single Window Inspection (SWI)/Single stop Inspection (SSI), under East West Economic Corridor (EWEC) of GMS, at Dansavanh (Lao PDR) - Lao Bao (Viet Nam) International Checkpoints by early 2015, which could serve as an example for other international checkpoints in the Development Triangle Area. We welcome delegates from Cambodia-Lao-Viet Nam countries to conduct study visit and exchange lessons in the implementation of SWI/SSI at the Dansavanh - Lao Bao International Checkpoint. 8. We note the report on the Rubber Industry Development Plan for CLV DTA prepared by the Ministry of Agriculture and Rural Development of Viet Nam and we task the CLV Ministries of Agriculture to further discuss and finalise the report to be submitted to the 10th JCC for consideration. 9. We reaffirm our strong commitment to environmental protection and to the effective use and management of natural resources for sustainable development in each country and the entire Development Triangle Area. In this regard, we encourage localities and relevant agencies to incorporate other issues related to the environment and sustainable development into the cooperation agenda of the three countries; and develop joint programmes in area such as land management, hydrometeorology, climate change adaption and mitigation, water management and geology. 10. We task the CLV Joint Coordination Committee to further implement the revised MOU on preferential and special policies in order to create a favourable environment for business and investment in the CLV Development Triangle Area, and to develop a Tourism Development Plan for the CLV DTA to be submitted to the 9th Summit of CLV DTA; and to continue studying the possibility of merging existing bilateral and multilateral agreements among the three countries into an CLV agreement with an aim to further attract trade, investment, tourism flows and people as well as to mobilise financial support from Japan and other development partners and International institutions. We suggest the CLV JCC to report the progress of the study to the 9th CLV Summit in 2016. We also instruct relevant authorities in each country to proactively organise public-private dialogue to address difficulties faced by enterprises and respond to their legitimate requests when doing business in the CLV Development Triangle Area. 11. To bring about greater benefit to the people of the three countries, we also task the CLV Joint Coordination Committee to establish a Task Force: (i) to study the possibility of expanding the cooperation scope of CLV DTA and to come up with constructive recommendations on untapped resources and potential area for development in the CLV Development Triangle Area (ii) to develop and prioritise CLV priority projects in order to meet the objectives of the Revised Master Plan for Socio-Economic Development of the CLV Development Triangle Area; (iii) to organise trade fairs, tourism promotion, FDI attraction and youth forum as well as development partners forum in the CLV DTA; and (iv) to mobilise financial support from Japan and other development partners, and international financial institutions to implement the above mentioned CLV priority projects, including infrastructure development. We appreciate Viet Nam’s organisation of the First Forum on Development Partner in Dak Lak Province, Viet Nam in April 2014. 12. We express our sincere thanks to the Government and people of Japan for the continued contribution to the socio-economic development of CLV DTA and highly appreciate Japanese Leader's announcement at the 6th Mekong-Japan Summit held on 12 November 2014, Nay Pyi Taw, Myanmar that Japan will continue to support CLMV development and the CLV Development Triangle Area. We would also like to thank the other development partners and international financial institutions for the continued contribution to the development of the CLV DTA. In this regard, we will propose the high priority projects of CLV DTA to call for funding from development partners, particularly Japan, and international financial institutions for obtaining financial and technical assistance. 13. To expand and to bring the economic cooperation among Cambodia, Laos and Viet Nam to a new height, we agree to accelerate physical, institutional and people-to-people connectivity between the three countries. In this regard, we task the JCC to develop action plans on connectivity as soon as possible and submit them to the 9th Summit of CLV DTA. 14. We agree to hold the 9th Summit CLV DTA in the Kingdom of Cambodia in 2016. Done in Vientiane, Lao People’s Democratic Republic in three copies in the English language, on the Day of Twenty-Five on the Month of November in the Year of Two Thousand and Fourteen.